The Beer Chilling Sticks by Sky Innovations are stainless steel rods that you pop in the freezer for 45 minutes and then place in your beer bottle to keep your beverage cold longer. 2-packs of Beer Chilling Sticks are available to purchase from the Laughing Squid store for $18.99. 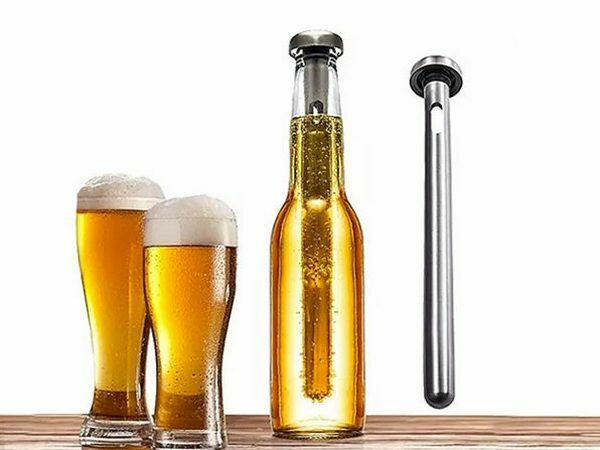 Made of stainless steel and imbued with advanced cooling technology, this beer chilling stick is durable and easy to use and clean. Simply freeze the chill stick for 45 minutes and then stick it in your beer bottle to maintain a longer chill. Awesome for those summer parties at the pool or beach, these sticks are fully FDA-approved, BPA-free, and guaranteed to keep your beer cool and happy.